The drug alert set out below was issued by the U.S. Food and Drug Administration (FDA) in July 2006. It was last updated on July 23, 2010. 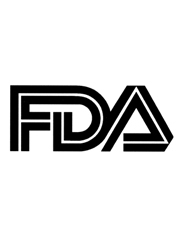 This FDA alert is intended to provide post market (after FDA approval) safety information about Zoloft (setraline) to patients, doctors and healthcare professionals. The Zoloft drug safety issues described in this FDA alert have been addressed in the labeling of Zoloft (setraline). PPHN stands for Persistent Pulmonary Hypertension of the Newborn, a life-threatening condition that develops soon after and infant is born. Pulmonary means related to the lung. Hypertension means high blood pressure. The pressure in the blood vessels to the lungs of a baby with PPHN is so high that bloodflow into the lungs is restricted and the amount of oxygen that gets into the bloodstream is limited. As a result, other organs in the body do not get enough oxygen to function properly. A baby with PPHN has breathing problems soon after birth. A baby with PPHN suffers high blood pressure to the lungs that prevents enough oxygen from getting into the bloodstream. PPHN may result in heart failure, brain hemorrhage, seizures, kidney failure and multiple organ damage. The most severe cases of PPHN often result in death. To report any unexpected adverse or serious events associated with the use of this drug, please contact the FDA MedWatch program using the contact information at the bottom of this page. The use of selective serotonin reuptake inhibitor (SSRI) antidepressants such as Zoloft during pregnancy has been found to increase the risk of an infant suffering Persistent Pulmonary Hypertension of the Newborn (PPHN). Zoloft lawsuit attorneys represent families and children affected by Zoloft PPHN on their claims recover financial compensation for personal injury and wrongful death damages.